Alorica at Home is a customer care outsourcing firm that employs thousands of home-based agents across the country. 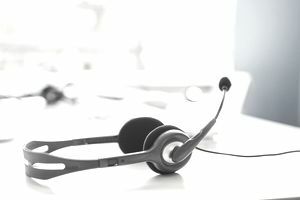 It acquired virtual call center West at Home in 2015 and runs its operations in much the same manner as West at Home did, employing virtual call center agents to provide customer service for its varied list of clients. Alorica at Home hires its agents as employees, not independent contractors, so workers are guaranteed the minimum wage in their states. They receive inbound calls and perform services such as sales, customer service, billing, surveys, account management, online chat, and technical support. Bilingual call center and interpretation jobs are also available. Paid training is done online via self-paced tutorials. Pay for Alorica agents depends on the type of program you are in and the amount of time you work. There are four types of programs: Per-Minute Rate, Worktime Rate, Per-Call or Guaranteed Hourly Rate. No matter what, if your total earnings come to less than minimum wage, your pay will be bumped up to meet local minimum wage standards on a weekly basis. Agents typically earn between minimum wage and $10 per hour. Agents are paid every two weeks via check, direct deposit, or pay card. The company does not offer paid time off or pay for medical benefits. However, it does give employees the option to purchase medical and dental benefits. Agents must be available to work at least 10 hours per week. To apply for a position, click the Apply Now button on the company's website and fill out the application. Set some time aside, because the application is extensive. You must be at least 18 years old and have a minimum of a high school diploma or a GED, but some college education is considered favorably. You should also be comfortable with a computer. After the application is accepted, applicants are invited to do a series of online skill and behavioral assessments. After that, an offer may be issued. Following the preliminary offer, some positions may require a drug test and background check that will be paid for by Alorica. Once accepted for a position, there may be ongoing paid training about products and services that clients offer. Alorica at Home operates in the United States only, but it doesn't hire in all states. Even in the states where it does hire, jobs don't apply to all counties or areas. Early in the process, the application asks for your state and lets you know whether you are eligible.